Control of Streptococcus pneumoniae is mainly achieved by the use of existing vaccines. Capsular polysaccharides are the major antigenic component and are also the main virulence factor. Capsular polysaccharides must fulfill requirements of purity, uniformity, and an accurate molecular weight to be used as vaccine antigens. Vaccine production largely relies on cultivation of the pathogen in appropriate conditions. 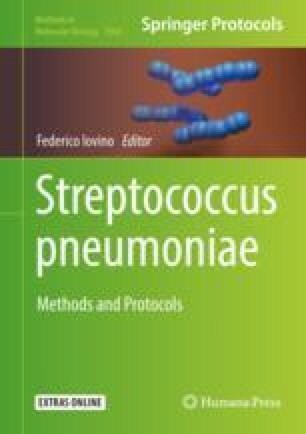 Here we describe widely used techniques to culture S. pneumoniae based on solid or complex liquid media, which are successfully applied in the diagnosis of the pathogen and in development and production of S. pneumoniae vaccines. Furthermore, we present a new chemically defined medium that can be used at lab scale.